Rare 4 Bedroom 3 Bathroom 2,646 square foot, single level home in the active adult community of OAKWOOD at Sun Lakes! 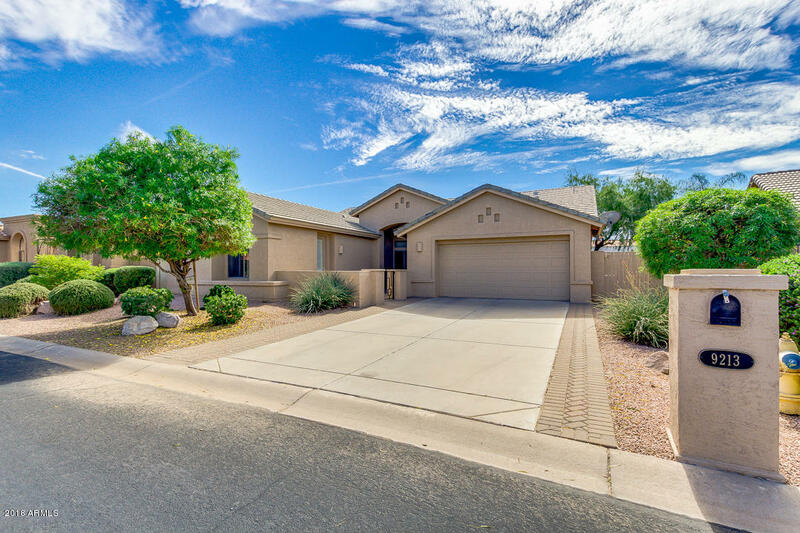 Main house is 3 bedrooms, 2 baths plus a Bonus Casita with wet bar! Beautiful cherry wood floors in all of the right places! Brand New Carpet Just Installed!! Wonderful upgraded Kitchen with stainless appliances (range is plumbed for gas if you don't want electric). Spacious Family Room with gas fireplace. Elegant Formal Living Room & Dining Room make this an excellent home for entertaining! Upgraded Plantation Shutters on all windows. Low maintenance backyard with extended covered patio and awesome built-in BBQ! Enjoy all that Sun Lakes has to offer including golf, tennis, pickle ball, pools, fitness center, clubs, & restaurants!